Parallel to 78th St. Right on N 78th Street. Left on Walker Ave. Right on 78th Terrace! Kansas City is located in Kansas. Kansas City, Kansas 66112 has a population of 151,306. The median household income in Kansas City, Kansas 66112 is $38,073. The median household income for the surrounding county is $39,326 compared to the national median of $53,482. The median age of people living in Kansas City 66112 is 33 years. 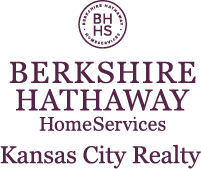 I am interested in 1904 N 78th Terrace, Kansas City, KS 66112.